Besides many hardships, the German-speaking guild Templer managed to pull through everything that was thrown at them. How did they did it? Tenacity! For this week’s guild spotlight I have met with JJAY, leader of the Templers, and WTenji, one of his Right Hands. I became aware of the guild after looking in game for a new guild to feature. The Templers stood out from the masses due to their endurance and their ‘never give up’-mentality. After a short introduction to the guild we talked about their current problems and their plan to keep moving forward. Enjoy! Founded by JohnWulfgarden at the start of the Final Beta, Templer fought many battles and came across many a stumbling blocks. 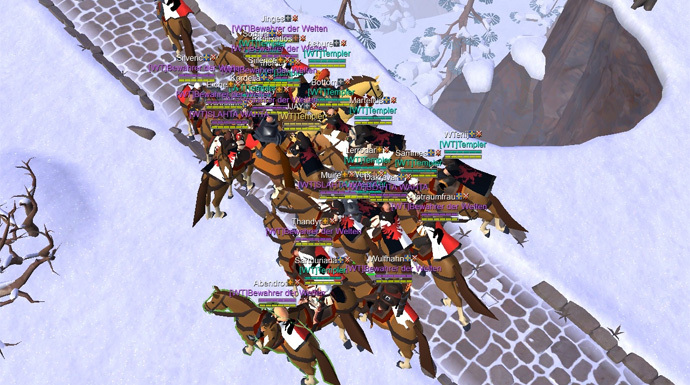 After the guild’s leadership had to quit Albion Online due to personal circumstances, the guild decided that they wanted to stay together and they elected a new leader among themselves: JJAY. While JJAY leads the Templers, the guild is ruled by a council of seven people, everybody with his own subarea. Major decisions are made by a council vote and it having seven members secures a guaranteed settlement. With the founder no longer available, the original intentions of the guild are being somewhat forgotten, but the new leadership is doing everything possible to make sure their guild is moving forward in the right direction. Like most guilds, the Templers have some members that make sure things in the guild are rolling the right direction. For the guild’s wealth and armory, those members are Sarthuria, Silwyna, Soraya, and Tarthoneh. These guys are not simply gathering and crafting on behalf of their guild, but are able to motivate other members of the guild to do the same by organizing fun events, which every Templer likes to take part of. Yet, what would be a guild without some kind of propaganda? Corz1, a Legend of Albion and one of the best PvPers of the guild, is streaming regularly to bring the community’s attention to his guild. And last but not least, we have WTenji, one of the guild’s Right Hands. He is in complete charge of Templer’s recruitment. Trying to make sure that his guild always has new recruits, WTenji untiringly searches for rookies and veterans alike who looking for a new home. The Templers are approaching the competition of Albion Online in their own way. They are separating the wheat from the chaff and try to score points with skill and commitment rather than sheer numbers. With only one standing GvG team the split started to show another disadvantage. Defending against the competition in Black Forest, Templer realized that they were not able to hold all of their territories with a single group of players and they decided to withdraw from the black zones, regrouping with their guys in Outrider Oasis. Instead of sulking about their loss they started to analyze the things that caused their defeat. As a result, the guild started to change their training regime to meet the new conditions they came across in the Outlands. Things started with the preparations. The members of the guild began to train with all weapons across the Destiny Board. Applying some kind of rock-paper-scissors rules, every Templer started to learn about the strengths and weakness of every piece of gear and equipment combination. An uncountable amounts of duels and builds later, a deep understanding of the game were the fruits of that work. 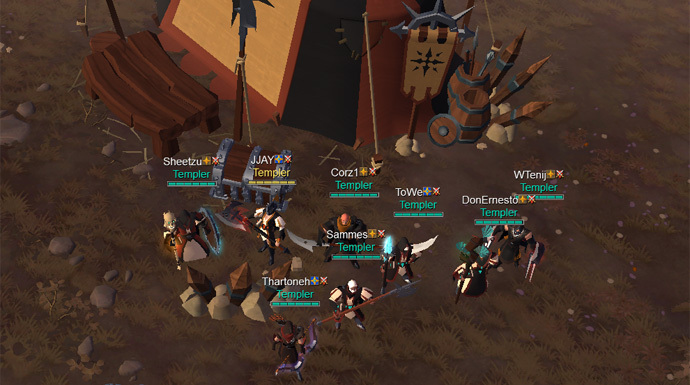 With the whole guild being involved in the process, Templer was able to create a second GvG group. 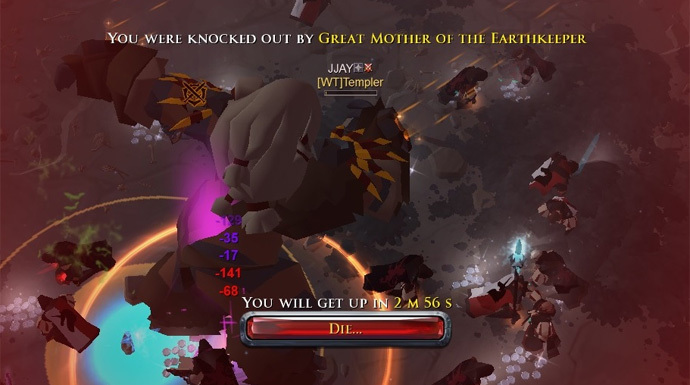 With a second team and a well-prepared army at their disposal, they kicked it up another notch by recording and analyzing all of their GvG battles, with the goal of optimizing their builds, strategies, and group compositions even further. The alliance of Templer with Bewahrer der Welten cannot be underestimated in regards to their improvements. While both guilds are based on different continents, they took advantage of the new areas that opened for them. Together they honed their skills, combining their forces in open world PvP in the Outlands and training their GvG teams. In addition, both guilds hold events and PvE raids to not only gain wealth but also to offer their members the fun of playing with same-minded people. “Since we moved to the red zones, nothing of what we did was without purpose. Even our current location was chosen for a reason. As I cannot talk about details, let’s say the Templers don’t do winter holidays!” JJAY adds with a smile, confident of victory. Besides their campaign to step back into Black Forest, Templer wants to stick to their core principle: “Having fun together!” …and that regardless of the season! Have you ever crossed your blades with the Templers? What are your experiences with this German-speaking guild? 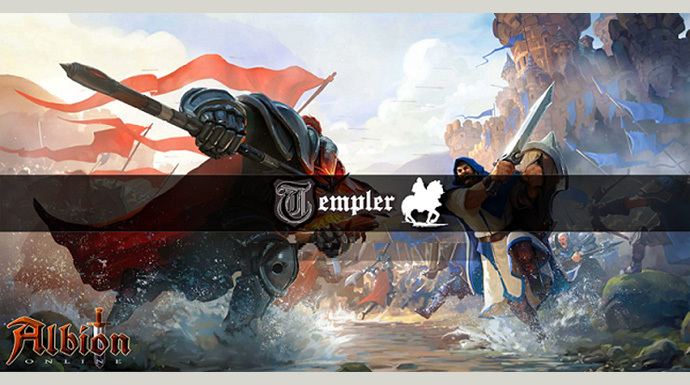 Share your thoughts and your opinion on Templer with us in the comments below or on our forums!